By Andy Crouch, InterVarsity Press, 2008. Exploring the relationship between Christianity and culture has occupied the faith community from its very beginning. It can be traced within the biblical narrative and through writing in every phase of the history of the church. In the twentieth century H. Richard Niebuhr’s book Christ and Culture became a reference point for discussion. The “culture wars”, issues of faith in the public square, the renewed attention to the arts and the recent recovery of talk of transformation have all fuelled the conversation often generating more heat than light. 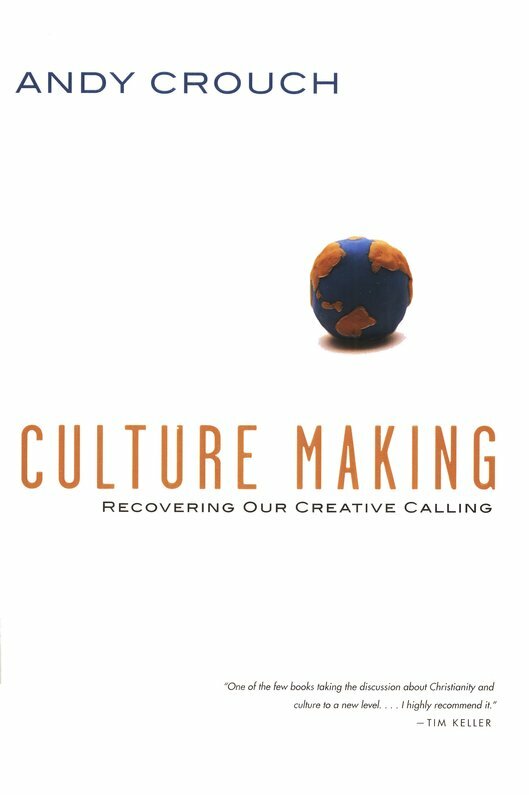 Culture Making by Andy Crouch provides a calm and insightful exploration of what it means to be faithful in the context of what we call culture. At the heart of his argument is the idea that culture is something that you do. It is not just a thing that I observe or a collection of things that shape my life though both of these may be true. It is an activity that requires some intentionality. Among the common approaches we practice are; condemning culture, critiquing culture, copying culture and consuming culture. As an alternative to suspicion and critique Crouch invites us to consider the postures of artist and gardener. Here each begins in contemplation, paying close attention to what is there, and then moves to do purposeful work. At the heart of the book the reader is taken through a careful reflection on the cultural mandate in Genesis, given a glimpse of the sweep of the biblical narrative which begins in a garden (Genesis) and ends in a city (Revelation), and finds a case for Jesus as cultivator and culture maker. Crouch makes clear that the cross prevents us from “any sort of cultural triumphalism” while the resurrection may be “the most culturally significant event in history. The discussion is shaped by a keen biblical and theological understanding. While one might expect a book with the title “culture makers” to be a work promoting the power to change the world – Crouch is very cautious on this subject. In the chapter titled “Why We Can’t Change the World, he provides a realistic assessment of what can or cannot be done. In this he confronts a paradox. Human beings are to make something of the world – to give it shape and a transformed culture is surely something the Christian faith advocates. But says Crouch “Changing the world is the one thing we cannot do”. (p.189) He contends that when we move into the larger scales of culture we quickly leave behind our ability to change very much. (p.197) This is a complex problem and you will need to read the book get the authors account. There is much in this book to instruct and to challenge. It provides an in depth look at how culture fits with the Christian call to faithfulness. It provides a bracing challenge to consider an alternate path to those that have been common fare in our current thinking. It is a book that will reward readers with new insights and expanded horizons for the faith and culture conversation and move them to confident engagement as makers of culture.